Whatever you like to plant, it has to grow in your garden soil. Whether you fancy fruits, vegetables, shrubbery or flowering plants – or all of the above – healthy plants need good dirt. Unfortunately, Northern Utah is the home to some really bad dirt. The good news is that you can fix your soil problem fairly easily (and affordably). But, before you can fix it, you have to figure out what type of bad dirt you have. It’s important to remember that dirt is not one-size-fits-all. The native soil at your house is probably very different than that of someone across town. Here are three of the basic types of dirt you’re likely to find in your yard, and some advice on making the most of whatever you have. Pick up a handful of your native dirt and squeeze it. If it feels gritty and doesn’t clump together very well, it’s sandy. Sandy soil gets a bad rap sometimes, but it’s great for growing potatoes, carrots, corn, tomatoes and strawberries. Sandy dirt doesn’t hold water or nutrients well. This makes for great drainage but it can dry out too fast. Amend sandy soils with compost and, once you’ve put your plants in, top it with a good layer of mulch. A handful of clay dirt will feel slick to the touch and, when you squeeze it, it will clump together. Clay is great for trees and shrubs. For plants, it’s less desirable but some later vegetables don’t mind it. Clay is heavy with few air pockets, which means it drains poorly and, when it dries out, it gets hard as a rock. Fortunately, it does retain nutrients. Amend clay soils with some vermiculite or sand to enhance its drainage. Chalky dirt is easily recognized by its slightly gray tone and the presence of lots of tiny pebbles. 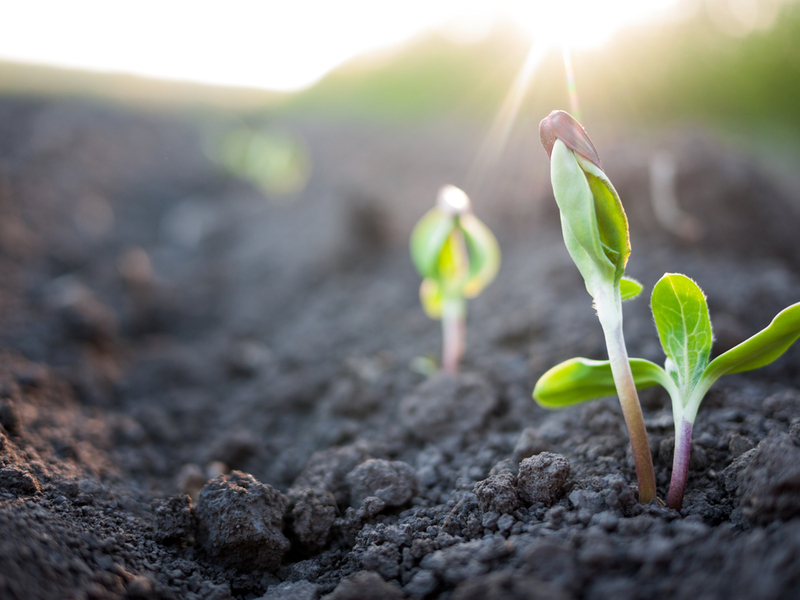 This type of soil isn’t particularly well-suited to growing much with the exception of a few vegetable types, specifically beets, spinach and cabbage. This dirt drains well but tends to be overly alkaline. You can amend it by adding fertilizer, compost and mulch. Or, for significantly better results, consider digging your beds out – or building raised beds – and filling them with Garden Soil Plus. The Dirt Bag delivers all your favorite landscape materials right to your door in a sturdy, reusable, 1-cubic-yard bag. We deliver mulch, compost, garden soil, play sand, gravel and more throughout the Salt Lake City area. Call us today to order everything you need to get your garden soil ready to grow.